Recently, some girlfriends and I were talking about while fitness, running, and eating well is SO important to us…it can be pretty darn expensive! Gym membership prices are sky-high, organic produce is double (sometimes, triple!) the cost of the GMO and chemical-loaded stuff, and finding a marathon that costs less than $100 for registration alone is like finding a unicorn. It seems impossible to prioritize our health without making some serious financial sacrifices, right? We chatted about how even though being active and staying healthy can be costly, we’re willing to pay for it because it’s important to us. And I LOVE that. I believe that our bank statements should be able to tell a story about who we are and what we value. But, what if we can still pursue optimal health without breaking the bank and living paycheck to paycheck? I believe that we can (and should!) have both abundance in health and abundance in savings. I haven’t always gotten this right. I have wasted money on the cutest $150 yoga pants that I just HAD to have (and downward-dogged my way into a hole in them anyway) and I bought $9 pretty, cold-pressed juices when it wasn’t in the budget, more times than I’d like to admit. But in my journey to become more financially savvy over the past few years, I’ve learned a few tips, tricks, and principles to keep my health a priority — without draining my bank account. I’d love to share them with you! Workout at home. Thanks to the magical internet, you can conquer killer workouts for free without ever stepping foot in a gym. 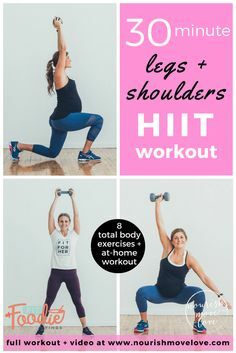 Working out at home offers great flexibility if you’ve got a crazy schedule, too…you can squeeze in a workout while dinner is in the oven, while your baby is napping, and while laundry is running — all at the same time! When I’m on a time crunch and have to workout at home, Nourish Move Love, Tone It Up, and Pop Sugar Fitness are some of my go-to videos and for most workouts, you don’t even need equipment! 2. But if you do want to workout with equipment at home…buy used! Did you know that the average new treadmill costs $1,500? Those are some expensive miles! But with the convenience of sites like Craigslist, OfferUp, and LetGo, you can browse tons of quality workout equipment for sale in your area without paying full price. I hate to say it, but a lot of people get excited about the latest piece of workout equipment on the market, spend a fortune, and then let it collect dust in the corner. That sad, unused treadmill will be much happier helping you with speed workouts in your home, won’t it? And with a quick wipe down, it’s as good as new for you (and half the price). 3. Know the Clean 15. This list from EatingWell highlights the 15 foods that are lowest in pesticides and don’t need to be purchased organic. Bringing this list along on your next grocery trip and save BIG! 5. Juice Yo’ Self! I get it – I love me some cold-pressed kale and cucumber as much as the next girl. And those juice bars are SO CUTE. You know the ones I’m talking about, right? As I mentioned before, I could easily spend a fortune on juices…but I’ve learned to save those treats for special occasions or for dates with friends. On a regular day, I save money by making my juice and smoothies at home. You don’t have to have a Vitamix — any decent blender will work! You’ll be amazed at how much you save by buying your own produce and blending it up yourself – and it’s just as nutritious, and maybe even a bit more delicious, when you know that you’re saving. 6. 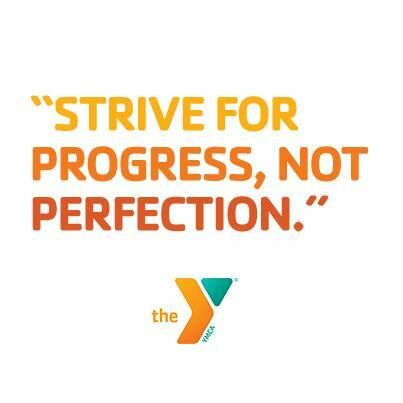 Join a running club. You don’t need to buy an expensive training plan or hire a coach to help you achieve a new PR at your next marathon — just join a local running club! Running with friends will help keep you accountable to show up for your workouts, and they will most likely make you faster and push you outside of your comfort zone. When you’re running with friends, you’re less likely to walk the hill or take the shortcut home. Check out MeetUp.com and find a free running club in your area for new friends and great workouts. 7. Buy in bulk. If you don’t already belong to Costco or BJ’s Wholesale – why not?! I know it seems silly to pay for a membership to shop and spend more money, but it really pays off – even by the end of your first trip. Chad and I are always keeping our pantry stocked with plenty of protein powder and bars (vegan for me, Muscle Milk for him). 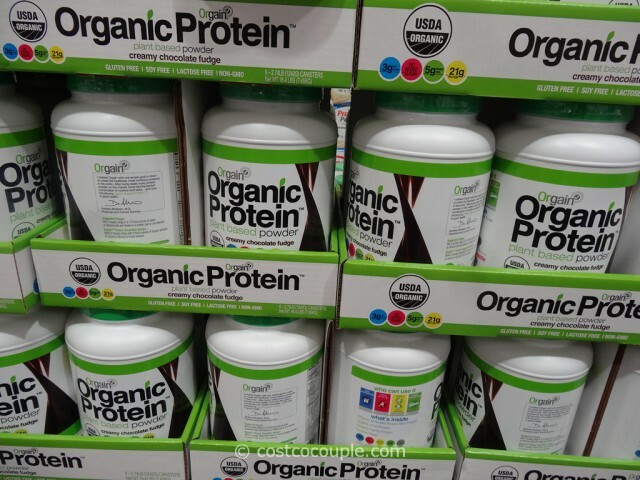 If we were to buy our protein in smaller batches at the grocery store, we’d pay almost double the unit price that we pay at Costco. No wholesale store nearby? No worries! VitaCost and Amazon can hook you up with all of your bulk needs, too. It pays to plan ahead and stock up! If there’s one takeaway from this post, know that you don’t have to go broke to get healthy. These are just a few of the many ways to get creative to save on your health/fitness expenses. Do you have any tips for saving money while staying fit? Please share in the comments!